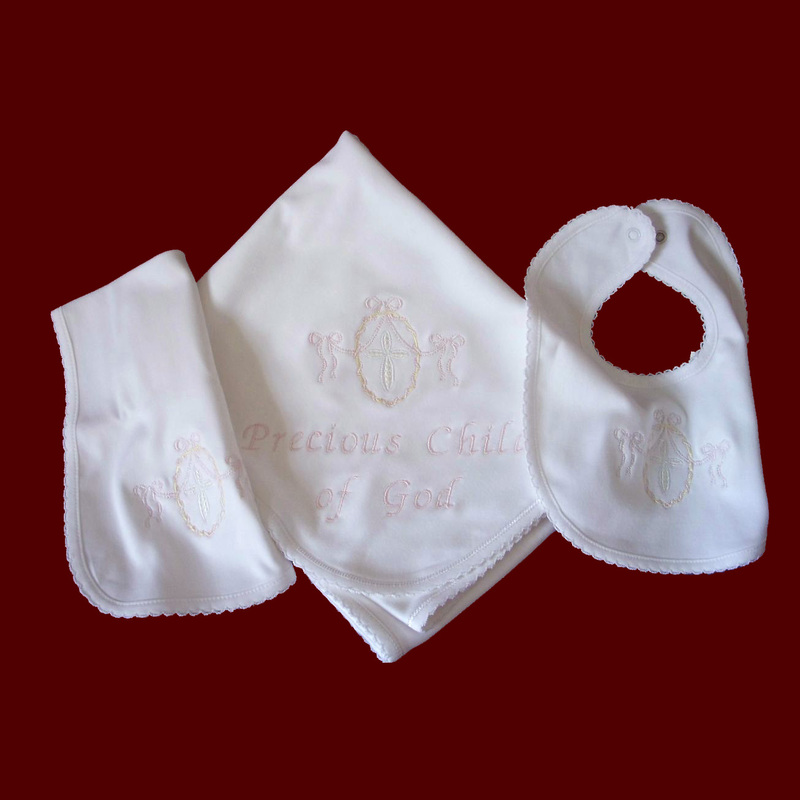 Cotton knit christening accessories trimmed with picot edge binding is soft and comfortable for baby's special day. 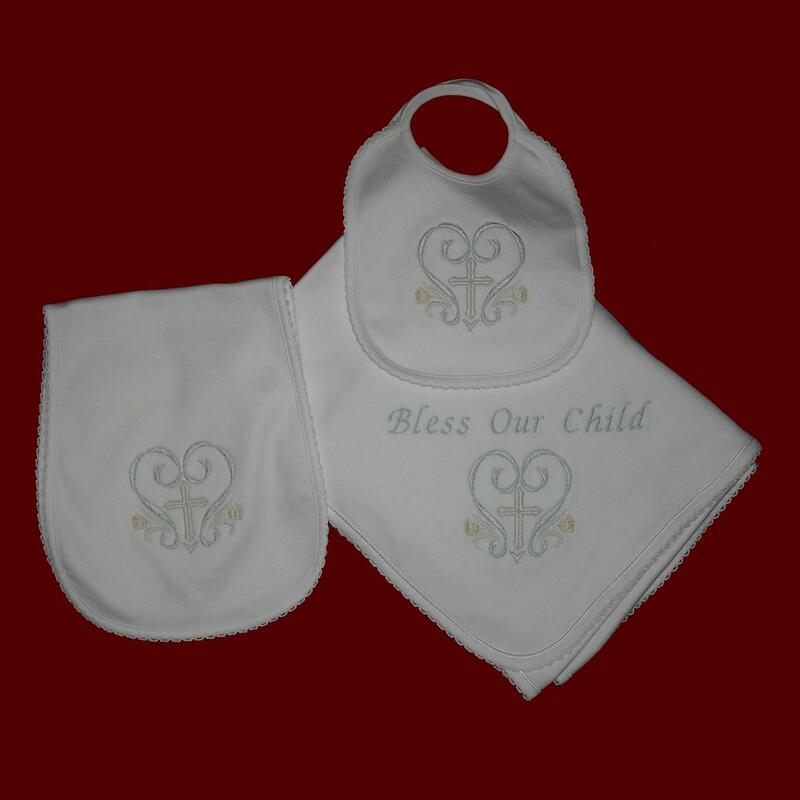 Blanket measures 36" x 36" and is embroidered with Bless Our Child sentiment and cross with bows design (girls) and cross with streamers (boys). 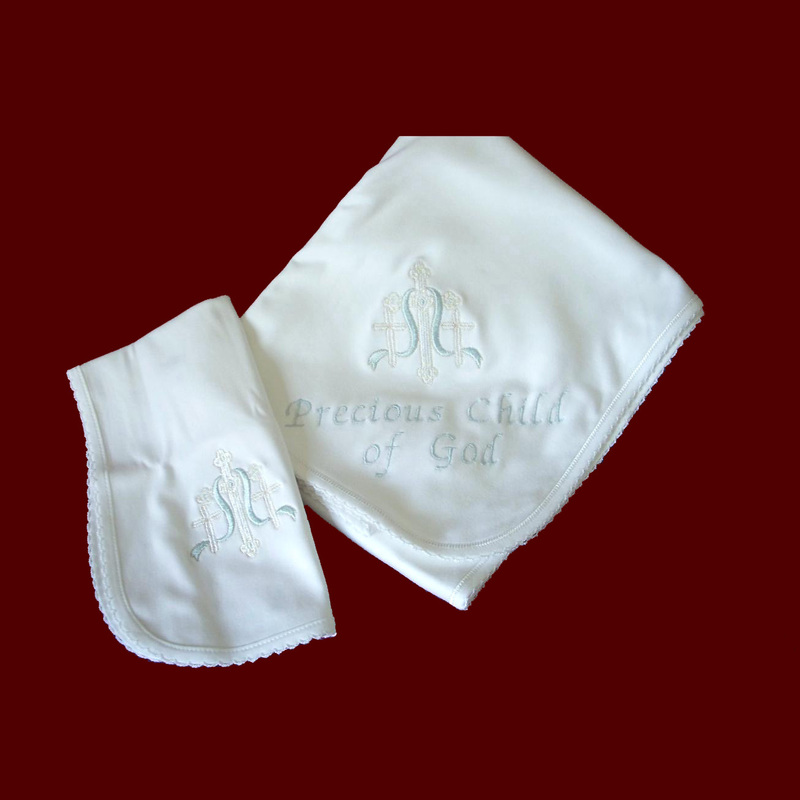 Includes burp pad and bib with embroidered crosses in a clear top gift box tied with organza ribbon. 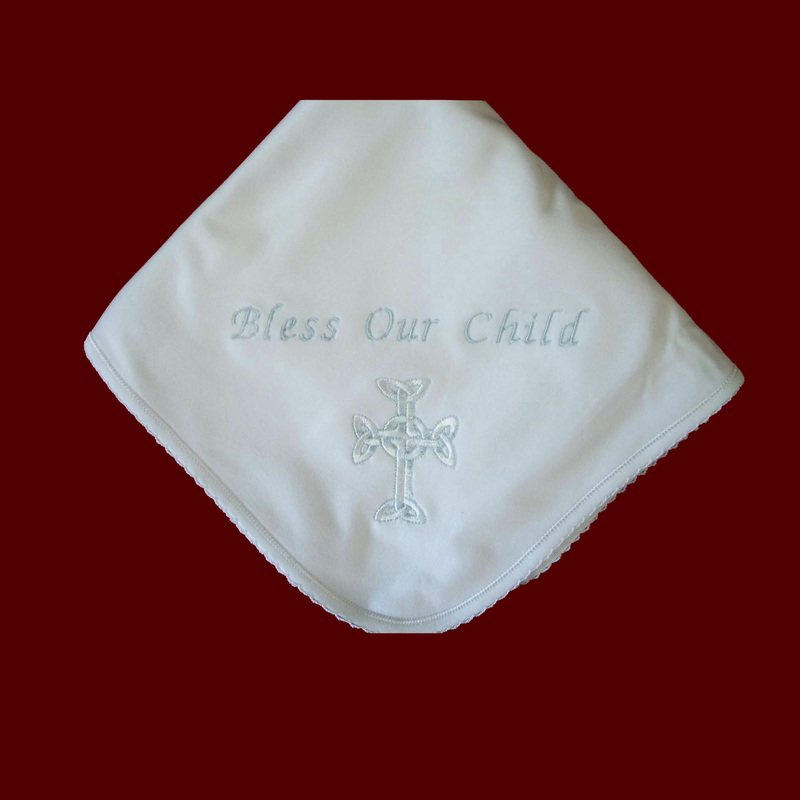 **New embroidered cross designs & sayings to choose from. Your choice of saying also available ~ please add to special requests. Irish accents may be added to all items on this website.